We have some of Australia’s leading dental specialists and experts involved in BOSS and helping with a comprehensive orthodontic continuing education. With over 25 years of experience in dental hygiene and related fields, Rochelle is one of Australia’s leading practitioners of Orofacial Myology. Rochelle’s expertise is highly sought after in the industry, and she regularly conducts training and mentoring for other practitioners in this field. Rochelle runs a private, orofacial myology practice in Sydney, OM Health, bringing a unique, holistic approach to patient care. She incorporates a team approach with other health professionals to assist in a greater level of health and well-being. Her special interests include, Orofacial Growth and Development, Orofacial Pain and Sleep Disordered Breathing. Rochelle is a lecturer at the Australian Academy of Orofacial Myology. She speaks both nationally and internationally. Rochelle is committed to advancing Orofacial Myofunctional Therapy in Australia through best practice and continuing education. Ben completed his MDSc in Prosthodontics from University of Sydney. During this time, he was given the Young Prosthodontist Award by The International College of Prosthodontists. He is the past president of the Australian Prosthodontic Society (NSW) and Australian Asian Association of Dentists. He is a mentor for implant diploma courses offered by the University of Sydney, University of Melbourne and Charles Sturt University. In addition to being a visiting honorary Clinical Lecturer at the University of Sydney, a frequent presenter for Nobel Biocare, Ben frequently presents on the topic of dental implants and fixed prosthodontics nationwide. As a prosthodontist, Ben works full-time in his referral based specialist practice in Chatswood, Sydney with particular interest in the surgical and restorative aspects of dental implant treatment. 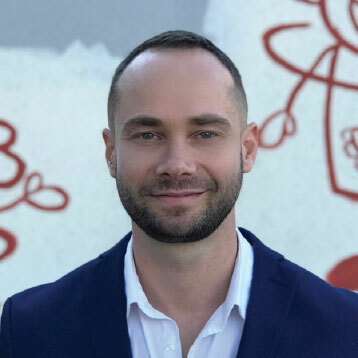 Following completion of his Master Degree at Melbourne University, Dr Cherkasski has been in a specialist practice restricted to prosthodontics. He has broad knowledge and substantial practical experience in all aspects of restorative dentistry including dental implantology. His special interest lies in cosmetic rehabilitation and the use of digital technologies in restorative treatment. Dr Cherkasski lectures nationally and internationally on dental implant-related issues. He is a full member of the Academy of Australian and New Zealand Prosthodontists and an immediate past president of the Australasian Osseointegration Society (Victorian branch). Currently, Dr Cherkasski serves in an executive committee of the Australasian Osseointegration Society– federal body. Johnson is a specialist prosthodontist in private dental practice in Sydney, Australia. He also works one day a week in Department of Oral Restorative Sciences in Westmead Centre of Oral Health and involved in teaching prosthodontic registrars on the topic of composite resin. He practices in all areas of prosthodontics: implants, crown and bridge, partial and complete dentures, temporomandibular joint disorders. He is a contributor to the textbook “Oral Rehabilitation: A Case-Based Approach’. Specialist Endodontist in private practice Melbourne. Researcher and lecturer on various endodontic topics, including informed consent. Ehsan is a sought-after periodontist in private practice in West Sydney and his practice is restricted to periodontics and implant dentistry. 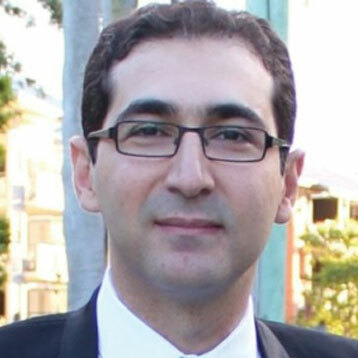 He also holds teaching positions at University of Sydney and LaTrobe University. He is the recipient of the prestigious ITI (International Team for Implantology) grant for his postgraduate thesis focusing on healing of hard and soft tissues around immediate implants. He has published several articles in well-respected international journals and has been actively involved in presenting lectures, running CPD events, and teaching dental students and overseas trained dentists. He is an active member of International Team for Implantology, Australian Dental Association, Australian Society of Periodontology, and Australian and New Zealand Academy of Periodontists. Dr Almuzian is a highly qualified Specialist Orthodontist with over 17 years’ experience. He has completed over 10,000 cases in 3 different continents and 6 countries including UK and Australia. Dr Almuzian has vast experience in the field of adult and children’s Orthodontics, with particular interest in breathing and sleep apnoea. He has published over 32 research publications and many clinical audits on a variety of aspects of Orthodontics and has written a large number of theses.